I love trees. 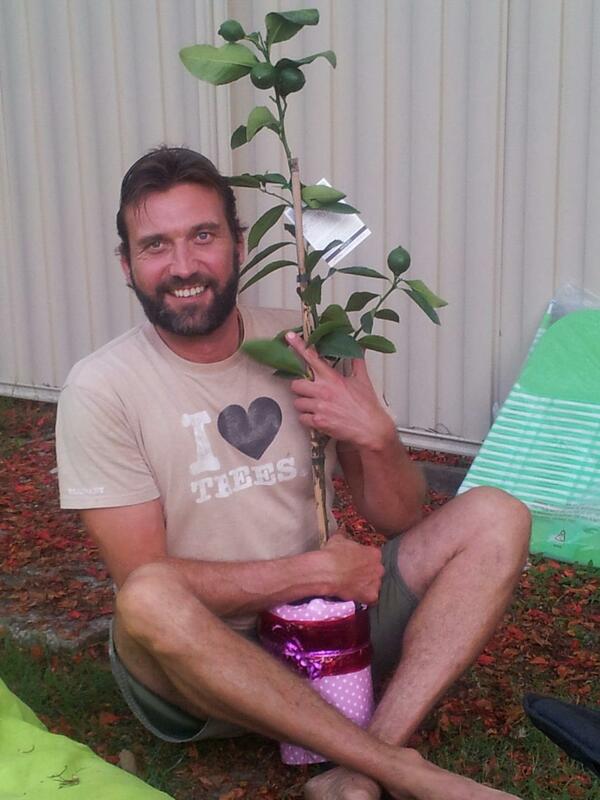 And so does everyone else in my family – see attached picture of brother. At Burning Man I wore a tank top that said “hustle trees” (randomly). So I was very pleased to hear that The Temple of Whollyness, has a new Indiegogo campaign to replant trees to make up for all the wood that was burned with the Temple. The Temple of Whollyness’ purpose is to serve our community as the spiritual nexus — to offer the space and opportunity for participants to express themselves in order to become whole. In that spirit, we are inaugurating a tree services program to offset the wood we burn, so that these two opposite actions complete the circle of our Temple. We feel that we are being called to take this important step in the direction of walking-the-walk towards fully cherishing our planet. With the Temple 2013 burn, we will completely “Leave No Trace” in a way that extends beyond the pristine playa we leave behind. By looking into the flames without fear, we see that we need carbon and fire to live as they are building blocks of our planet. In a very real and tangible way, fire promotes vegetation growth and the subsequent uptake of CO2 in natural ecosystems. Perhaps there is a way that fire can help us break the code on solving some of our environmental issues? Our Temple can honor the importance of the release of fire, while completing the cycle by re-planting what was burned. So we decided to ask tree experts at The Tree Centre for assistance with our plan and they calculated the number of replacement trees from converting the weight of the Temple birch, pine and fir into board feet. A board foot is a standard measure of the usable wood in a tree. You can picture a board foot as a piece of lumber one-inch thick, one foot wide, and one foot long (1″ x 12″ x 12″). The Temple uses about the same amount of wood as an average single family home. If we look at trees that are only 12″ in diameter, that would be 800 trees. With adjustments for mortality at 12%, we were advised to re-plant about 907 trees. We set our goal to plant 2 trees for every tree that we use to build the Temple — to not only replace the trees that will serve us in our Temple offering, but to return even more trees to our planet — so we are planting 2,000 trees in total. We chose Green Forests Work as an ideal organization to collaborate with. They are focused on regenerating forest lands in Appalachia that have been destroyed from hilltop removal for coal mining. Their mission is intriguing because of all the co-benefits their work creates: forest regeneration, biodiversity regeneration, water basin restoration, soil toxicity amelioration, social justice promotion, and climate change mitigation/adaptation, to name a few. The cost for Green Forests Work to replant these 2,000 trees is $4,500. We will net this amount, after Indiegogo fees, when we raise a total of $5,000. Since we are a gathering of environmentally and socially concerned citizens, we hope to easily raise the required funds and gift Green Forests Work the TOTAL amount we receive from this Indiegogo campaign. We encourage BMOrg to learn from this, and offset their carbon emissions with re-forestation donations. This doesn’t need to be a festival of destruction, featuring massive amounts of waste generation and exhaust gas emissions. 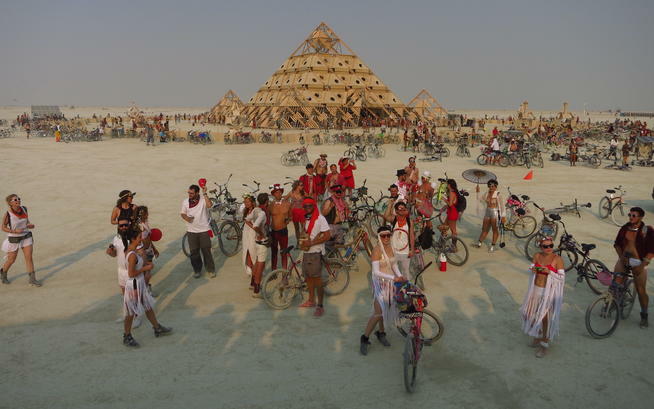 It can easily be something good for the world, Burning Man takes place over 15,000 acres and we live on less than 1000 acres in Black Rock City; why not re-forest 1000 acres for every 1000 Burners that attend? This would be a much more direct way for Burning Man to make the world a better place, than the Central Mid Market transformation they promised but didn’t deliver on in 3 years of occupying, or the “transition to a non-profit” we’re still waiting to see manifest. Finally, a kickstarter/indiegogo project I can get behind and donate to. Thanks for posting this info.